Luxury can be used as a synonym for India tours. The grand past of the country and mesmerizing surroundings, not only enchants the locals of the nation, but travelers from different corners of the globe. Gone are the days when normal people use to fascinate about the kingly and lavish lifestyle of the emperors. But now, tourists can enjoy the same luxurious treatment and services by staying at one of the palaces turned into a five-star hotel. 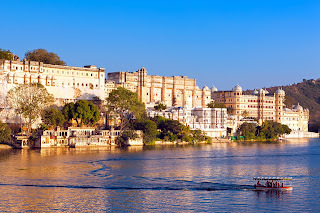 When it comes to luxury tours to India, few cities completely takes away the limelight, and these are- Agra, Jaipur, Jodhpur, Udaipur, Gwalior, Hyderabad and Mysore. Luxury in India is not limited to hospitality and hotels, but you can enjoy the grandeur of lavish travelling, by booking any of the special trains which connect different parts of the nation. These trains are perfect uniting of epicurean of past and concepts of today. Right from the interiors to the hospitality, everything here is perfectly designed to make you feel like a king. So what are you waiting for, plan out a royal jaunt for yourself and leave on a journey where you are treated as a king/queen for a day or so.